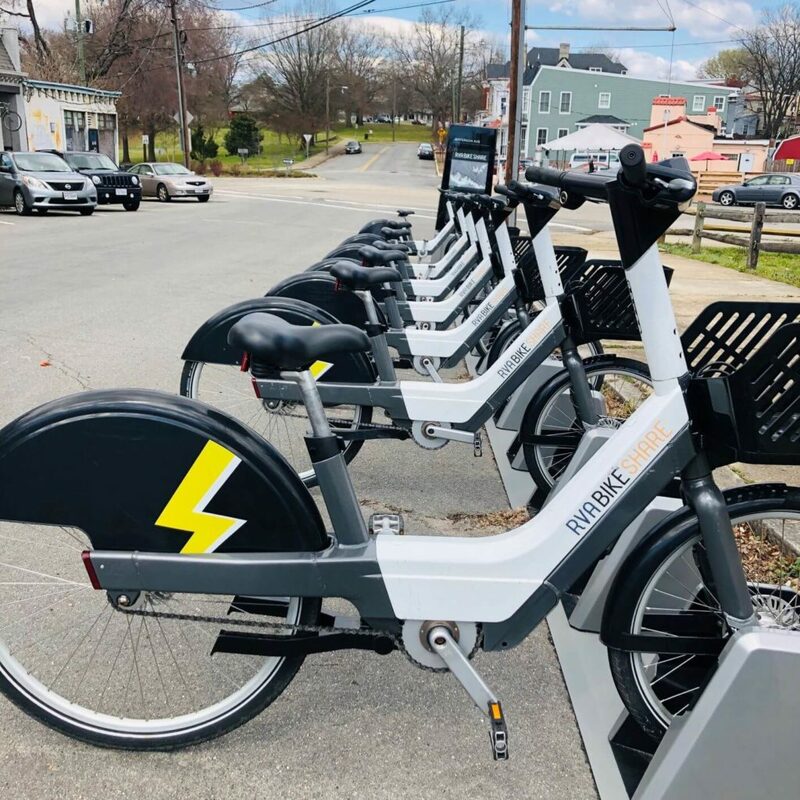 In a move that could spark increased interest in the RVA Bike Share, new electric-assist (“pedelec”) bikes started appearing at the share docks yesterday. The electric assist bikes are pretty much regular bicycles, except that there is a small motor that gives extra power every time that you turn the pedals. I tackled three of the biggest hills in the area (9th Street through the city, up Broad Street from 18th, and then up 25th Street from Main Street) and the ride was easier than walking up the same hills. The assist makes it really easy to jump out to 12 MPH or so, but doesn’t really let you go much above 15 MPH or so before you run out of gear on the bike. The set-up seems to be aimed at making the bikes very accessible and the hills easier, rather than making for a faster ride. I found that the slower you go, the more apparent the electric assist – just dilly-dallying up the Broad Street hill at just over walking speed was a piece of cake. As of today, there seem to be one or three electric assist bikes at each of the share stations. You can recognize the new bikes by the yellow lighting bolt graphic on the back fender. New pedelec bikes will be added to the system weekly — most of the bikes should be converted over by mid-April. app. Selecting a bike is as easy as entering the 5 digit code on the bike and confirming the selection. You can get various levels of passes, from $1.75 for 45 minutes, up to $96 which offers a year membership. 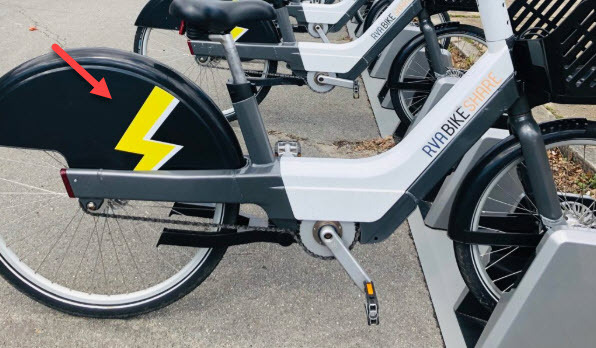 f note, the electric bikes are the same price as the regular bikes (some bike share systems – like New York’s CitiBike – charge more for these). 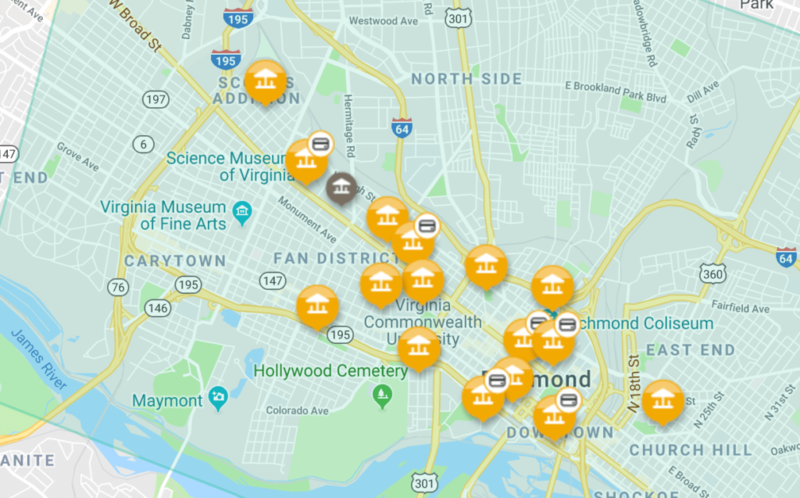 RVA Bike Share launched just about 18 months ago, with the promise a second phase that would double the number of stations and bicycles sometime in 2018. 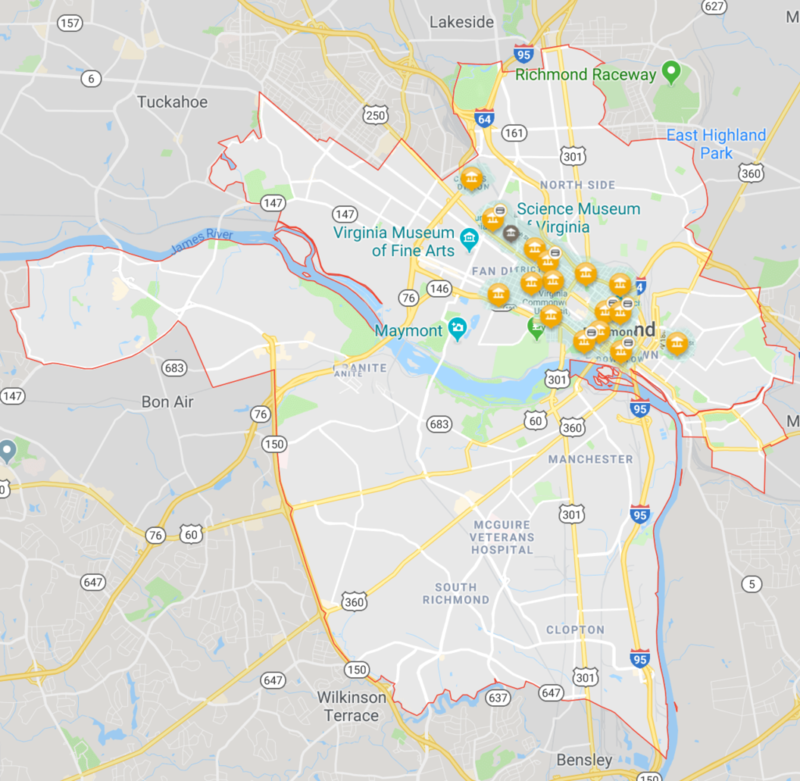 A year later, though, there is still only one station east of 14th Street, none north of Jackson Ward, and none on Southside – with no mention of when/if expansion might come. It may take Jump or Lime or the like coming to town to really see coverage extend outside the main east/west corridor.